Get simple effective anti aging home remedies for wrinkle removal and pigmentation here. You just need regular kitchen stuff for these anti aging home remedies! Who doesn’t want to look younger? However, spending your hard earned money mindlessly on anti aging creams and lotions loaded with chemicals make no or little sense. I am not saying that some of the best researched anti aging creams or other treatments are all futile. Many new anti aging treatments like Vegetal Placenta do help you in staying younger by reducing signs of aging like wrinkles and pigmentation but they are expensive and you can’t just go around experimenting with one anti aging lotion today and the another one tomorrow because you don’t know which herbal cream suits your aging problems! And thus, these anti aging home remedies! 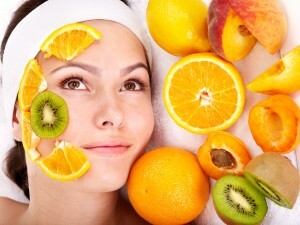 So, here I give you some easy natural home remedies for anti aging treatment. You can easily find the ingredients given in these anti aging home remedies at home or local food or grocery stores. All you need is a little time, some efforts and a little more patience to let these natural home remedies for anti aging work for you! Use egg whites to remove wrinkles from under your eyes. This helps maintaining the skin elasticity and you just need the leftover portion in the egg shell! Take two apricots (without seeds), lime juice, 2 tbsp honey, and cold milk. Mix and apply on areas with wrinkles. Leave for half an hour and rinse with warm water. Take three capsules of Vitamin E and empty their content into a bowl. Mix 2 tsp yogurt, 1/2 tsp honey, and 1/2 tsp lemon juice with it. Apply with a cotton ball and leave it for at least 10 minutes before washing it off. Mix turmeric powder with sugar cane juice and apply this to remove wrinkles. Cut off the core of a pineapple and rub it on your face. Leave for 10-15 minutes before washing it off. It is an effective home remedy for removing the first signs of wrinkles. Take few drops of oils- sandalwood, geranium, rosewood, rose jasmine, neroli, and frankincense. Mix these oils with primrose oil or other base oil of your choice. It is one of the best homemade anti wrinkle lotion that can save you from aging signs. Massage your face with ghee, almond oil or coconut oil before going to bed everyday. Anti aging home remedies begin with internal treatment and thus remember that you need to take proper diet and rest too for keeping your age in control. There are many forms of skin pigmentation. Age spots are like large, dark freckles, Melasma is an area of patchy darker skin that can be often seen on the forehead, temples and cheeks. Both these types of pigmentation – age spots and Melasma can be treated by the same home remedies for pigmentation. Take some orange peel powder and mix with raw milk to make a thick paste. Apply this on your face and keep it for twenty minutes before washing it off. It is a very good remedy for skin lightening. For making orange peel powder, let the peel dry in shade for few days and then grind it to powder. Drink plenty of water to get rid of water retention in your body. When you drink less water, your body starts accumulating water instead of expelling it out. This leads to fluid retention in the body and you get puffy eye bags along with many other problems. Drink at least 8-10 glasses of water daily. Take a tea bag and soak it in water for a couple of minutes. Now store it in your refrigerator for about 1-2 hours. Place this chilled tea bag on your eye and rest for about 15-20 minutes. anti-inflammatory properties of tea will reduce the puffiness under eyes and its anti-irritant properties will help relive itchiness. Take egg white and whip it for some time. Add few drops of witch hazel to this and apply under eyes. The skin tightening properties of eggs will address the problem of sagging skin and the astringent properties of witch hazel will help tighten the pores to help you get rid of puffy eye bags.